Vickery Village - Near Southside, Inc. Longtime resident of Vickery Village, Stage West Theatre, recently announced that they had purchased their West Vickery Boulevard building, originally a bus garage for the city in the 1930s. Nearby, Twilite Lounge opened in the old Morrison Supply at Lipscomb and Daggett, and was immediately drawing crowds with their live music and inviting patio. They join neighbors Firestone & Robertson Distillery, Near South Studios, and event space 809 at Vickery in this pivotal area at the edge of Downtown that is starting to see many signs of change. 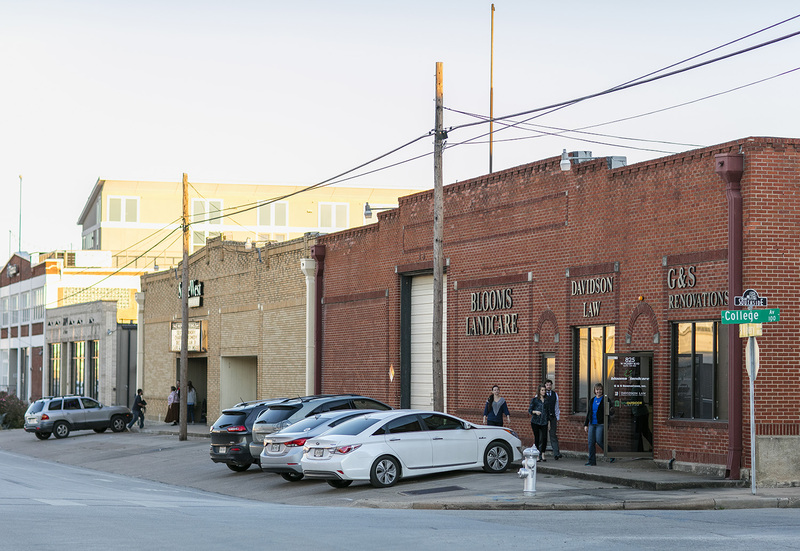 Creative sector pioneers Quorum Architects have recently purchased a historic red brick building at Vickery and College Avenue and are beginning renovations on the property as their new home. The Phoenix Apartments and Magnolia on Vickery Lofts offer residential options, and recent improvements to infrastructure have been designed to support balanced accessibility for pedestrians, bikes, and public transit.